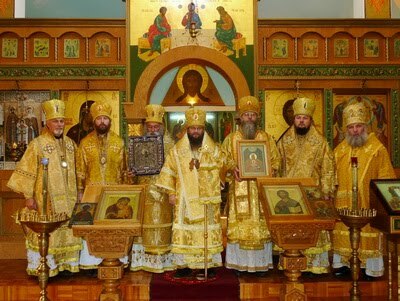 On July 16/17, the ROCOR under Archbishop Anthony of Beltsk and Moldova held a council comprised of the three Bishops Anthony of Beltsk, Seraphim of Birmingham, and Roman of Brussels, along with the secretary of the newly formed Synod, Mitred Archpriest Benjamin Zhukov. The Hierarchical decision, posted above, both raises Bishop Anthony to the rank of Archbishop, and justifies the actions of the Synod in its formation. The Synod refers to itself as “ROCOR (B)”, on the basis that Bp Bartholomew blessed the single-handed consecration of Bp Seraphim of Birmingham and subsequent consecration of Bishop Roman of Brussels. The letter justifies the existence of the Synod on the basis of the lack of a Hierarchical Sobor of the ROCOR (V) being called in the months surrounding and after the death of Metropolitan Vitaly. 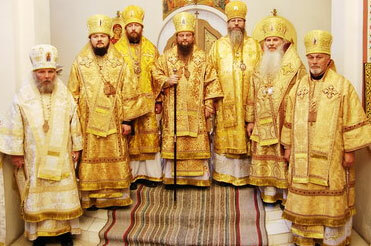 The ROCOR (V-A) Synod under Bps Vladimir of San Fransisco and Anastasy of Vladivostok consider the consecrations illegal on the basis that Bp Bartholomew was not capable of blessing the consecration of the new Bishops and thus consider the consecrations uncanonical.